You've heard of green tea, you've most likely have had black tea, but are you aware of white tea? White Tea is a tea lover's delight and if you've never tried it, you should. I came across white tea a few years ago, while researching the health benefits of tea and it has been my go-to tea ever since. 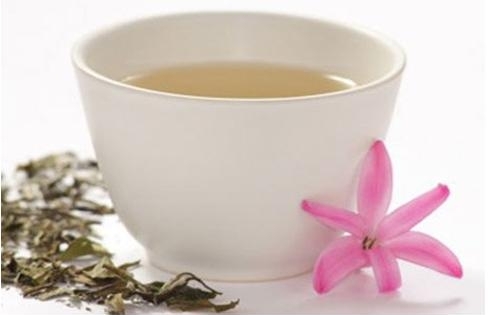 I describe white tea as pure, it just feels pure in taste, scent and texture. Am I a tea connaisseur? No, so this is just my humble opinion. Do I know what I'm talking about? Probably not, but I know what I like and I know the joy I derive from drinking it. To be frank after a misguided suggestion of doing a shot of wheat grass in my youth, green tea has tasted like grass to me ever since - hence the attraction towards white tea. They say white tea is expensive, due to it's rarity. White tea is rare because of the stringent rules governing how it is to be harvested and processed. But honestly, it's only a few dollars more than black or green tea and since tea in general (depending on the quality) runs under $10, this is not an expensive indulgence in my opinion. And I say you are worth it! As far as restaurants are concerned, I have never paid more for a cup of white tea than black or green tea. Like black and green tea, white tea also comes in a variety of flavors, most with a fruit spin (my personal preference). Concerned about caffeine? White tea still has it, but it also has the least amount compared to black and green teas. While I tend to get my white tea at World Market, it has been popping up on grocery store shelves recently. Give white tea a try, you won't be disappointed.